A chemical peel is an anti-aging treatment that improves uneven skin tones and gives the skin a more rejuvenated, youthful appearance. A chemical peel is a procedure where the top cell layers of the skin are removed by applying a chemical solution. This allows for replacement of the skin with a fresh, new surface. 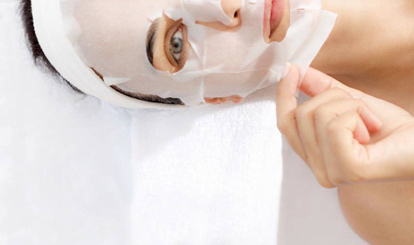 Chemical peels are used to improve a variety of skin conditions. If you would like to improve fine lines, acne, texture, discoloration, scarring or decrease a sun-damaged appearance. A consultation may be needed prior to scheduling chemical peels. With deeper peels, medications may be necessary. During your consultation, recovery time and contraindications are discussed, along with how to prepare the skin for your treatment. Sun avoidance is extremely important and an adequate UVA and UVB sun block is recommended. All peels are booked for 30 minutes, but often take less time. Perfect for anyone short on time but looking for great results! Skinmedica Peels are some of our most requested peels and deliver great results. The Vitalize Peel, Illuminize Peel or Rejuvenize Peel by Skinmedica may be the cosmetic treatment you are seeking to help you achieve a clearer, brighter and more youthful glow to your skin. Call for more information or for a free consultation with one of Hayes Valley Medical & Esthetics Licensed Clinical Estheticians. Enhances skin glow and radiance. Helps restore a more youthful appearance. Improves clarity, color and skin texture. Patients achieve enhancement of skin appearance with minimal downtime and discomfort. Appropriate for first-time chemical peel patients or patients looking for a gentle, very superficial peel. May be performed on Fitzpatrick Skin Types I – VI. Little or no visible peeling. For anti aging, melasma, sun damaged, and acne prone skin. The Vitalize Peel is the most popular SkinMedica peel that is appropriate for all Fitzpatrick Skin Types. It contains a proprietary blend of ingredients to help rejuvenate the skin. Achieve visible improvement after one treatment with optimal results after a series of treatments. The Vitalize Peel combines resorcinol, lactic, salicylic, and retinoic acid (at aesthetician’s discretion) to offer dramatic improvement in texture and tone. The renewal process stimulates collagen production, improves pigmentation, acne, and melasma. The skin appears healthier and more youthful with minimal downtime. For best results a series is recommended. Peeling can occur for 2-4 days, and generally starts 48 hours following the peel. Rejuvenize Peel can be used on Fitzpatrick Skin Types V – VI after the patient has established tolerability to Vitalize Peel or with physician consent.The Peeling Solution in the Rejuvenize Peel contains Salicylic Acid, Lactic Acid, Resorcinol, Panthenol, and Isoceteth-20. This peeling solution combined with a Retinol Solution can substantially improve the appearance of the skin. Peeling/flaking can occur for 3-6 days, and generally starts 48 hours following the peel. The light salicylic acid-based chemical peel is made up of both trichloroacetic acid (TCA) and a unique blue paste. This allows your esthetician to keep better track of how deep the peel is going. The layers of skin with the most problems and damage will be removed with the peel over a few days, revealing a fresh new layer of skin. It’s not over in the office. The chemicals continue working on the deeper layers of your skin to reveal the most naturally beautiful and fresh layer. The remaining skin is tighter, smoother and rejuvenated. Light peeling/flaking can occur for 2-5 days. Glycolic Acid Peel rejuvenates and reduces signs of aging by increasing cell turnover rate, stimulating collagen production, tightening, hyperpigmentation and diminishing fine lines. Optimal for sensitive or stressed skin, this highly efficient, supple, sterilized mask creates a protective barrier that helps alleviate discomfort. The unique fibers distribute heat-reducing water to the skin barrier to provide immediate relief. We also offer Seasonal Enzyme Resurfacing treatments in place of a peel or in addition to a microdermabrasion treatment. We can add any of our VMV Hypoallergenics peels to your facial for an upgrade fee depending upon your current skin condition. Ask about our Resurfacer + Mask add-on or stand-alone treatments.